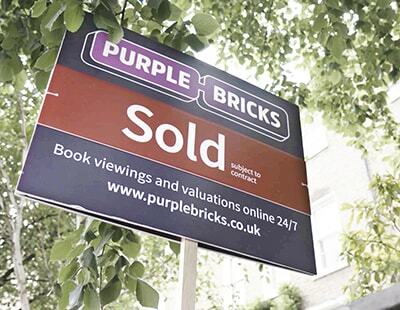 Purplebricks’ and Foxtons’ apparent success on Trustpilot have come under scrutiny in a Times newspaper analysis of the review platform. The Times’ Saturday edition says estate agents generally, along with some banks, have been accused of gaming Britain’s biggest consumer feedback website by paying it to help gain better review scores. The newspaper has analysed almost 200,000 reviews on Trustpilot and says some companies appear to jump from a very small number of bad responses one month to hundreds of positive reviews the next. It says: “The biggest companies pay Trustpilot, which generated revenues of almost £40m in 2017, tens of thousands of pounds a year to access its marketing services. Subscribers can use the company’s technology to filter the reviews they place on their own website or corporate Facebook pages, allowing customers to read only favourable posts. The analysis by The Times found that in August 2016, Foxtons received only five reviews on Trustpilot, with an average score of only 2.2 stars out of five. “The following month Foxtons was reviewed 467 times with almost 90 per cent of the reviews generating five stars” the newspaper reports. Trustpilot has told The Times that it has zero tolerance to such tactics and has invested to eradicate the practice. The Times also says “Trustpilot is failing to remove reviews with identical text” and admits that its systems are not perfect. “It has since removed dozens of duplicate reviews, including examples that relate to Purplebricks and Foxtons” says the paper. And The Times reports Trustpilot itself saying that it has a zero tolerance to misuse of its platform, and employs more than 50 people full-time and technology to weed out suspicious reviews. You can see the report here, although to some readers it may be behind a paywall. Estate Agent Today has asked Purplebricks and Foxtons if they have any additional comment now that The Times story has been published. Bla Bla Bla, nothing will ever be done about this. Old news, which has been the same old story for years, whilst small private agencies fight to give great service without access to massive bank overdrafts and budgets! Makes my blood boil. Support smaller local agencies instead of faceless corporate raiders! Think before you comment. Faceless corporate raiders? there are hundreds of estate agents with husband's, wives, kids, friends embedded within the communities in which they serve. Manage your business to the best of your narrow-minded abilities and we'll manage ours. The hybrid model was conceived by your very own. Estate agents who thought they could deliver a better service to their customers, at a fraction of the cost. I know plenty of independent high Street agents that showcase their service on Trustpilot or Allagents. Perhaps you want to have a moan about their efforts as well? Crooks? How can you say that knowing full well that your industry is well known for corruption, conditional selling, lies and deceit? Iwhy are you resistant to transparency and honesty? Something to hide?? Read the article. There's nothing in it about fiddling. I think you're head is a bit fuddled. Do you need a cuddle? 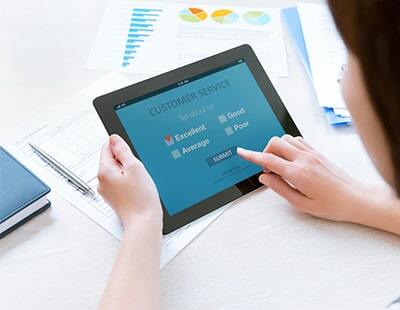 I think the focus on reviews plays a part in improving the service and delivering the promises made to customers. If you shout about your success and make customers aware of your reviews, you've opened the door to a poor review if you don't deliver the same good service every time. Interesting that PB score so high on Trustpilot and yet only score 1/5 on AllAgents! I know which review site is a more accurate reflection! Ahh CONmisery! Give me the name of your estate agency and I guarantee I can submit a poor review despite never having used your services. How is that a more accurate reflection of your business? As for your use of con, I see no evidence of such claims being bought to court. The hybrids are not under criminal investigation for offering the same service as you do at a fraction of the price. It would be interesting to see the ratings if ALL customers ONLY review matters at the very end of the process. Trustpilot allows reviewers to change their score and the content of their review at any time. Yip, I could never understand that one either! As the original article in The Times, unfortunately, includes a misrepresentation of the Trustpilot platform and the way we work, we would like to take this opportunity to clarify these to avoid any misunderstandings. The Times article claims that “Trustpilot admits that its technology allows subscribers to filter out bad reviews…”. However, the fact is that no company - paying or non-paying can filter reviews on Trustpilot. Companies that subscribe to one of our paid plans do have access to widgets that allow them to pull in reviews dynamically from their Trustpilot company profile pages to their own website. But we do not allow in any way companies to filter out bad reviews on Trustpilot. The Times article says that “Critics of the company say the findings show how corporate subscribers are able to use its marketing and reputation management tools to manipulate their ratings.” However, no company can pre-moderate, pre-select or censor reviews written on Trustpilot. We strongly believe in the power of being open to everyone and again no company can edit, delay, deselect or prohibit a review from being published on Trustpilot. All companies on Trustpilot must abide by the same rules - whether a company is a paying customer at Trustpilot or not has no bearing whatsoever on how their reviews are treated. The Times article references a British Hospitality Association survey - from 2017 - but it’s not made clear that all companies - paying or non-paying - have access to the exact same reporting tools and that reporting a review is as simple as sending the Compliance Team at Trustpilot an email. The Times article also refers to an individual who owns the company R3 who’s frustrated with Truspilot’s dealings with what he thinks are fake reviews. Since 2016 he has sent Trustpilot more than 2,300 emails. We’ve investigated every single claim that he has presented to us and have happily shared our findings publicly. At Trustpilot, we have a zero-tolerance policy towards any misuse of our review platform and we invest heavily in this area. If we find that any company is violating our guidelines, we investigate and take appropriate action. If a company is found to have solicited fake reviews, we can issue a Consumer Alert on its Trustpilot page, letting the world know of attempts to mislead consumers. We see this as a key way to combat fraud, as sharing this type of information in a transparent way can help better inform both consumers and companies. The review industry has got plenty of work ahead. It’s by no means a perfect world. And yes, now and then you’ll find someone who is trying to game the system and manages to publish the occasional fake review, on our platform or any other. But with the very best processes, people and technology we have in place, we make sure everyone can use Trustpilot with confidence. TP blocked me for raising concerns on social media. TP also took almost two years to respond to genuine and well argued/ evidenced instances of gaming the system with a simple, we have investigated this and closed the case, no explanation, nothing. You will, no doubt, have seen the transcript I published between myself and your rep in February which again raised the issues I have repeatedly highlighted with TP that, amongst other issues, TP have allowed Purplebricks (stock market ticker #PURP )to repeatedly state that all of their reviews are verified when it is patently not the case. This too breaks your own rules but, I'm guessing that TP don't want to upset a major client? That TP is now regularly and frequently appearing on consumer 'watchdog' programs and in the press speaks volumes. Do your business and sector a favour. Come clean, ditch any dodgy customers and engage with genuine complaints properly and in a timely manner. If your so squeaky clean, perhaps you could answer why businesses using TP are able to ask for a review before the service is complete? Or in PB’s case.. never completes. This is the so called big boys bullying all. Not only do PB misrepresent Estae Agents on TV they now get people to lie for the. A name I'm sure you hear a lot Peter. Never mind; sticks and stones and all that. Chin up! Michelle do you work for PB or TrustPilot at all - and if so what position are you in out of interest, as you seem to snap back and comments and sometimes i feel a little OTT, but be interesting to know where you sit with this? Actually I was wondering whatever happened to "James Walsh", who was a PB champion on here a few months ago. I wonder whether he and "Michelle Lockwood" are one and the same? Michelle if you are part of PB you should go to your nearest Local Police station. Hand yourself in and confess to robbing people blind.